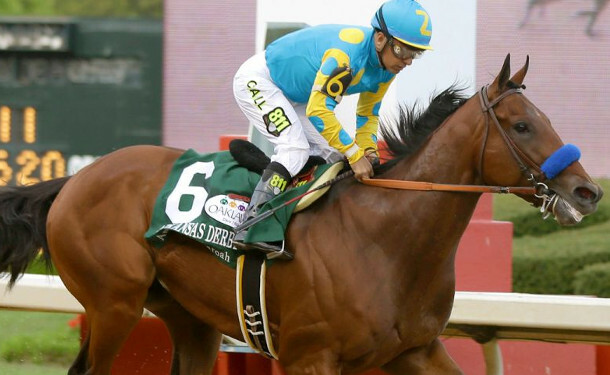 Now it is on to New York for the third jewel of the Triple Crown, the Belmont Stakes, and the fact we have not seen a Triple Crown winner since Affirmed in 1978 is not scaring bettors from making American Pharoah the big favorite. The colt is trained by Hall of Famer Bob Baffert, and this will be his fourth try at the Triple Crown. He sent Silver Charm, Real Quiet and War Emblem to the Big Apple with a shot at glory, but all came up short. Silver Charm was beaten just three-quarters of a length in a runner up finish, Real Quiet seemed to have the race wrapped up until Victory Gallop got up in the final jump, and War Emblem lost all chance with a bad break out of the gate. American Pharoah will be facing a tough test, as we may see as many as 10 foes take him on, including a couple of well-rested contenders. The current second choice in the betting at Bodog is Frosted at 5-1. The colt won the Wood Memorial in his final prep and then ran a good fourth in the Kentucky Derby, the only runner in the field that made up any ground in the stretch. The Kiaran McLaughlin trainee skipped the Preakness and should be ready for a top effort in the Belmont Stakes. McLaughlin won the Belmont with Jazil in 2006. The Todd Pletcher trained Materiality is the third choice in Belmont Stakes betting at Bodog at 15-2. The colt was a troubled sixth in the Kentucky Derby in his last outing. The colt won the Florida Derby in his previous outing in just his third career start. Pletcher won the Belmont Stakes in 2007 with the filly Rags to Riches. For a complete list of betting odds for the Belmont Stakes, click here.